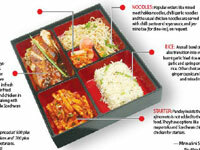 A SINGLE-portion takeout or home-packed meal common in Japanese cuisine, the traditional bento box gets a Chinese makeover. 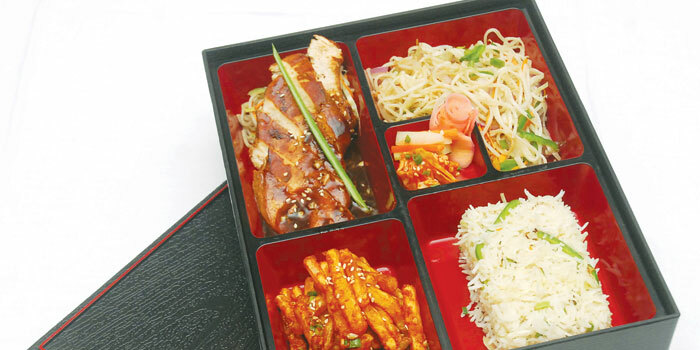 Starting today, the 60-seater Sian, the Chinese restaurant at The Gateway, is introducing bento-boxes for those who are in a hurry or want a healthy lunch. Chef Ashwani Pandey has worked on these take away meals for over a month. a�?We have a lot of corporate employees coming to the restaurant who insist on finishing lunch in not more than 20 minutes. 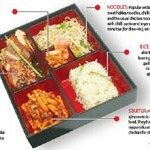 So these bento boxes are quick, appealing and nutritious at the same time,a�? explains the chef. The restaurant offers three varieties, vegetarian and non-vegetarian, with the menu changing every day. Available on week days and for lunch alone, the salad, noodles, rice and gravy combo comes in separate compartments of the box , while the soup and dessert are dine-in options.